U.S. citizens must have a valid passport for at least 90 days after their return date, though we strongly recommend at least six months. U.S. passport holders do not need a visa to enter Costa Rica for stays up to 90 days. When is the wet and dry season? Costa Rica has two main seasons, the rainy and the dry season. The dry season commonly starts in November and goes until the end of April. Rainy season typically begins in May and goes until November. Because of the geography of Costa Rica, it has different micro-climates making it a destination that can be traveled year round. The months that you can expect the most rain would be September and October. Costa Rica does have tropical weather so even during the rainy season travelers can expect sunny mornings and afternoon showers that last about two hours before the sky clears again. The Guanacaste region is the driest of the country, making it a recommended area to visit during the rainy season. What is the best time to go to Costa Rica? The best time to travel to Costa Rica would be the beginning of the rainy season (May) or the end of the rainy season (November). This is the best time to take advantage of the low season rates. What are the low and high seasons in Costa Rica? High season goes from beginning of December to April 30th and the months of July and August. Low season is from May 1st to June 30th and from September 1st to November 30th. Peak season is the week of New Years, December 20th to January 6th, and Easter week. What is the best length of time to visit Costa Rica? 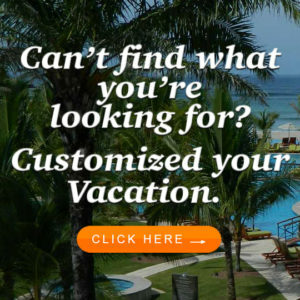 Depending on the experience you are looking for, the length of your itinerary will vary. However, in general, an 8 days program is the perfect amount of time to see the highlights Costa Rica has to offer. What is the difference between beachfront hotels and beach hotels? Beachfront hotels are located right on the beach where as beach hotels are in front of the beach with direct access to the beach. In Costa Rica, all of the beaches are public. The hotels in Costa Rica that offer beachfront access are near the beach or offer a path to have a direct access to the beach. 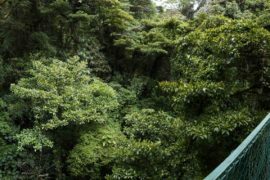 What is the best area for adventure and rainforest activities? 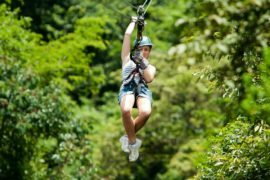 Without a doubt, Arenal Volcano and Manuel Antonio are the perfect locations for all your rainforest and adventure activities. Where could travelers find all-inclusive system hotels? Guanacaste region is where most of the all-inclusive resorts are located. 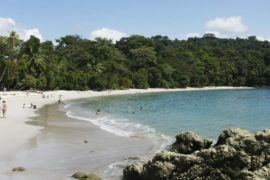 In the Central Pacific, travelers could also find two all-inclusive resorts located in Puntarenas and Jaco Beach. Full pension hotels offer three meals a day: breakfasts, lunch and dinner. This is a set up menu. Some properties located on the Caribbean Side and Osa Peninsula offer this service. All other hotels offer European plans, which includes daily breakfast. Is there a weight limit or age limit for adventure tours? Canopy/ Zip lining: You must be at least six years old to zip line, with a minimum weight of 50 lbs. (22 kilos) and 5 ft. (1.45 m) in height. There is no age limit for adults except for 300 lbs. (135 kilos) in weight and 7ft. (2.15 m) in height. 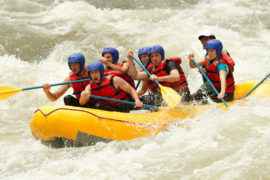 White water river rafting: The minimum age is 12 years old and maximum weight is 250lbs. Good physical condition needed. Waterfall Rappelling: The minimum age is 8 years old. Good physical condition needed. Weight limit 250lbs. ATV Tours: The minimum age to drive a single ATV is 16 years old and must have a driver’s license. Passengers that are 15 years old or under must ride as a passenger with an adult driver.